If you just sang “Way-Oh” to yourself, congratulations you have passed the test. We are clearly kindred spirits and you are allowed to continue reading at your leisure. If you didn’t, shame on you. You’ve let the team down, you’ve let the school down and, most importantly, you’ve let yourself down. You are hereby ordered to listen to Smash Hits 1995 on repeat until you know all the words. Yes, including the rap. The above song really has nothing to do with what I am writing about this week; I just struggled to get things going and wrote the first thing that came into my head. Don’t ask. 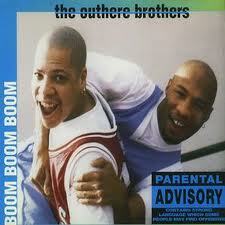 I once had to convince a friend that Jay-Z wasn’t in The Outhere Brothers. True Story. With every blog I post I feel increasingly more responsible for your entertainment. Now usually this wouldn’t be a problem, I would simply buy you tequila and do a rap from the early 1990s. Sadly, however, we are not face to face. We are keyboard to eyes. That is awkward. I can’t rely on The Outhere Bros and Jose Cuervo to win you over, but gosh darn it I’m going to try! Turns out this random collection of babblings is now officially 2 months old. In its first two months this guy (yes my blog is male) has been through a lot and has amassed over 3,500 views in 44 countries. For you maths geeks out there, that’s the number of times Lindsay Lohan has been in rehab less the number of people in One Direction, multiplied by 3500. Ermahgerd, right! Unfortunately, I have come to realise the downside of having a blog (aside from the occasional Grade A Twonk), is you actually have to do something worth reading about. There needs to be a reason why you lovely people decide to visit my blog rather than talk to your loved ones, learn a new language or whatever else you were doing five minutes ago. For those of you reading this on the toilet – remember to wash your hands. (Hey I’m not judging). As much as people go on about reading, we all know we would rather watch the film. Unfortunately for us all Hollywood has not yet come up with a script good enough to accurately portray my life. Firstly, there were the name problems. Apparently “Legally Blonde with much Less Pink and Much More Sarcasm and Alcohol” might not be a suitable title. Secondly, it turns out Jennifer Lawrence isn’t available to star due to prior commitments, “washing her hair” or some other such nonsense. So, until I can convince Gerard Butler that I will stay at least 500 yards away from him at all times, you are stuck with the written version, for now anyway. This week I went fishing for the first time and caught 12 mackerel. Very impressive I know. Yes, I have Googled to see if it is an Olympic sport and, no, it is not. Probably a good thing really, if the Olympics got hold of it then they probably wouldn’t let you drink wine whilst fishing, which would definitely take away a lot of the fun. I would probably still get a medal though. I could be like this legend who decided to start running seven years ago, lost 5 stone and just came tenth in the marathon in the Commonwealth Games. Anyway, well done to Steven Way. 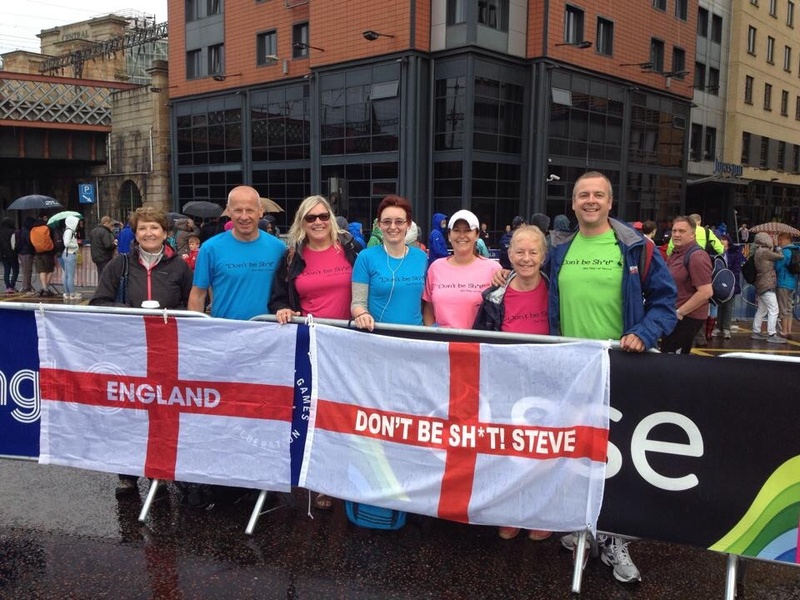 I adore that your team motto was “Don’t be Sh*t Steve!” Very impressive! Saying that, you have annoyed me slightly as my mum keeps telling me your story with a strong undertone that says “See, he was heavier and then he exercised and now he’s a champion! Why don’t you get up and start running?” Thanks mum but I’m good. Now if you could please move slightly to the left, you are blocking my view of the TV and making it harder for me to reach the ice-cream whilst lying down. Speaking of success, Steve and I are not the only ones to have achieved this week. Most importantly this has also been the week where Orlando Bloom shook off the mantle of being “the one that isn’t Johnny Depp” and allegedly (very important to say allegedly) punched Justin Bieber in the face! On behalf of the entire globe, thank you Mr Bloom. 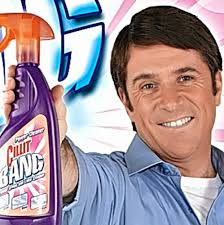 Now if you could find Miley Cyrus and Barry Scott from the Cillit Bang adverts you would make my life. It infuriates me that his name isn’t even Barry Scott – it is Neil Burgess. Why feel the need to lie to us about his name, advertising people? Why?! “Hi I’m Barry Scott”. Lies. In addition to fishing and fighting I have also been feasting with some really good friends (take that Alliteration!) We meet up every few weeks for a gossip at some fancy restaurant and shamelessly pull out a discount card. This week we went to the Malmaison for some steak – it was divine. 50% off mind you, I’m not made of money. All in all it’s been a pretty good week. I was actually so happy at the weekend that I cried. What an idiot. I was driving back from Abersoch in Wales with the Sibling and that song Electric Dreams was on and it was sunny and I got all emotional. This was pre-fishing too so I can’t even put it down to Mackerel Madness. God knows what was wrong with me. I was just genuinely really happy, and maybe a tad over excited. Nevertheless I suppose it doesn’t hurt to remember that, considering all the crap going on in the world at the moment, sometimes life really isn’t too bad. I am aware that by saying this I have incurred the wrath of the superstitious gods. In true “sod’s law” I am probably about to be swallowed by a sinkhole or accidentally bite my tongue whilst eating, but I’ll take my chances.